Itanagar Sep 16 (IANS) Chief Minister Pema Khandu on Saturday rued that Arunachal Pradesh did not receive proper hand-holding from the Central government ever since the time it was granted statehood. "Arunachal should develop at their own pace safeguards to ensure their well-being " he said at the first-ever joint conference of Anganwadi and ASHA workers held in Tawang bordering China. 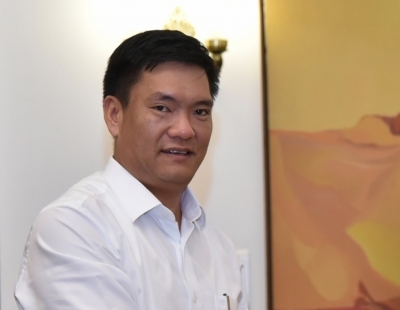 In a statement Khandu lamented that Arunachal did not have proper hand-holding from the Indian government since its journey from North East Frontier Agency (NEFA) to statehood resulting in deteriorated work culture and development disparity in the state. The Chief Minister noted that time has come for Arunachal Pradesh to remodel rethink and reshape its development discourse with proper planning and policy reforms to an audience of more than 500 Anganwadi and ASHA workers that had gathered from various districts. On labour reforms Khandu said even without any demands placed the state government has enhanced the honorarium of 12 050 Anganwadi workers and helpers to Rs 1 500. The Chief Minister announced an additional honorarium of Rs 500 on the occasion which will be implemented from next month. The Chief Minister said at present the Central government is working on minimum wages for workers and when announced will be implemented in the state as well. Talking about important initiatives of state government Khandu said "Sarkar Aapke Dwar" programme by district administrations is being carried our successfully across the states. He said more than 1 lakh beneficiaries have benefited from the programme. On air connectivity the Chief Minister said Tezu airport will be made operational soon as the tender process is completed and finalised. He said the state government will also start its own aircraft services to connect the six Advanced Landing Grounds in the state.